United Nations Secretary General Antonio Guterres has described former prime minister Atal Bihari Vajpayee as an “exemplary statesman” during his visit to India’s permanent mission to the UN here to offer his condolences to the late BJP leader. 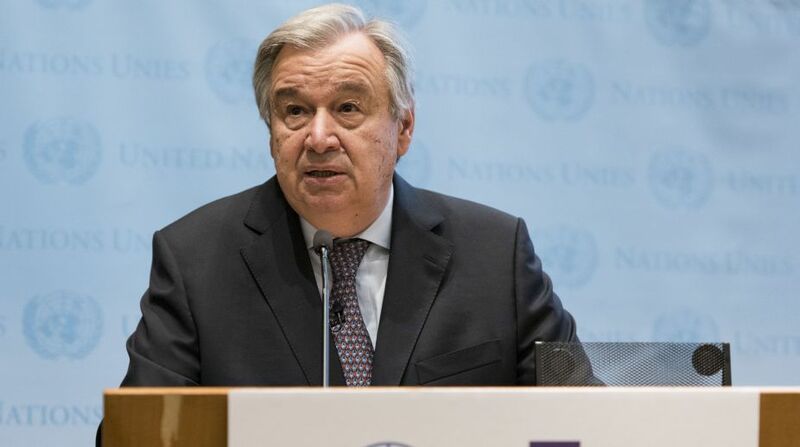 Guterres, during his visit to the Permanent Mission of India this week, extended his heartfelt condolences to the former prime minister’s family, recalling that he had met Vajpayee during the first India-EU summit. The UN chief added that he would always be remembered as an “exemplary statesman and leader who worked selflessly for peace and development in India and the world”. The ambassadors and delegates of several countries, including Peru, Israel, Nigeria, Palestine, Switzerland, Pakistan and Japan, also paid a visit to record their messages in the condolence book. Atul Khare, the UN under-secretary-general for field support, also expressed his condolences. Pakistan’s delegate wrote that Vajpayee contributed to bringing a change in the India-Pakistan relations and remained a key supporter of the South Asian Association for Regional Cooperation (SAARC) and regional cooperation for development. The Consulate General of India also held a ‘shradhanjali sabha’ (homage meet), where several members of the Indian-American community and officials from other nations paid tributes to Vajpayee.